When the risks of medication outweigh the benefits. Taking over-the-counter or prescription painkillers may seem like a simple solution for chronic pain. It’s actually a bit more complicated, yet many older adults aren’t aware of potential problems. “They think that if it doesn’t require a prescription, it’s safe. But there are some long-term health risks,” says Dr. Edgar Ross, director of the Pain Management Center at Harvard-affiliated Brigham and Women’s Hospital. Here’s what you should know about some commonly used pain relievers. Acetaminophen (Tylenol) helps reduce fever and pain. It’s available over the counter, and it’s in many types of medications, including some prescription drugs. But large doses can damage the liver. Drinking alcohol while taking acetaminophen can also cause liver damage. 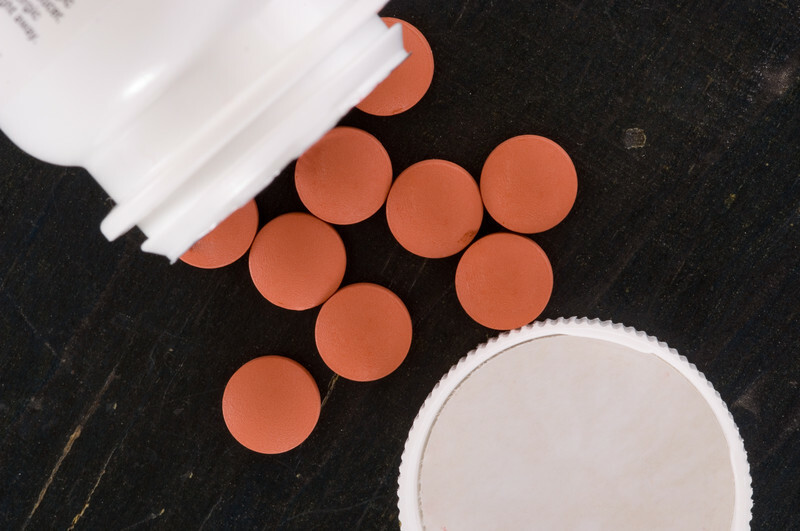 Acetaminophen may increase the risk of bleeding if you take warfarin (Coumadin). The FDA sets the maximum daily dose for the average healthy adult at no more 4,000 milligrams (mg) per day for short-term use, although even lower doses can be toxic to the liver in some people. “It’s in so many different kinds of medications that you may inadvertently take too much,” warns Dr. Ross. Such medications include over-the-counter remedies for pain, sleep, or cold symptoms. Nonsteroidal anti-inflammatory drugs (NSAIDs), such as ibuprofen (Advil), naproxen (Aleve), or aspirin, are available over the counter, and in stronger doses by prescription. Like acetaminophen, NSAIDs reduce fever and pain, and they go further by reducing inflammation. But regular, long-term use of NSAIDs has been linked to ulcers, stomach bleeding, kidney problems, high blood pressure, and increased risk of heart attack or stroke. In 2015, the FDA warned that NSAIDs raise the risk for heart attack and stroke even with short-term use, and even among people who don’t have heart disease. Opioid medications, such as oxycodone (Oxycontin) and hydrocodone (Vicodin), are among the most commonly pre-scribed prescription painkillers. They block messages of pain to the brain and reduce the body’s perception of discomfort. But long-term use of opioids comes with the risk of dependence, addiction, constipation, falls, confusion, slowed reaction time, slowed breathing, and death. “For older adults, the most common cause of pain is osteoarthritis,” says Dr. Ross, “and the best prescription medications for that are opiates. But I’m seeing significant reluctance to prescribe them to older adults for fear of addiction.” About two million people in the United States struggle with opioid addiction. Neurontin (gabapentin) is an anticonvulsant medication often prescribed for nerve pain. “It’s less risky than NSAIDs and opioids, but it has its own risks, such as sedation, cognitive impairment, dizziness, and falls,” says Dr. Ross. He recommends avoiding NSAIDs if you have high blood pressure, heart disease, or kidney problems, or if you’re taking blood thinners. Otherwise, use the lowest dose possible for the shortest amount of time, and avoid NSAIDs once you reach age 60. “Above 60, the data show significant risks, and they increase by decade,” says Dr. Ross. He suggests combining acetaminophen with pill-free treatments (see “Pill-free treatments for pain”) before trying prescription painkillers. If you take prescription painkillers, ask a family member to hold and supervise your medications, and give you only what’s prescribed and needed. Physical therapy. Stronger muscles help absorb pressure on the joints. Devices. Splints and braces can immobilize joints and relieve pressure on nerves. Canes and walkers allow you to redistribute your weight away from painful joints. Acupuncture. Evidence about its effectiveness is mixed, but many randomized controlled trials have suggested acupuncture helps reduce chronic pain. Therapeutic massage. Massage performed by a therapist trained in pain relief helps to reduce anxiety and relax muscles, tendons, and joints. Hydrogen for Skin Hydration? Dr. Nicholas Perricone Explains.